At the workshop organized under the premises of the State Authority for Geospatial Information, on 28.10-01.11.2018, attended by representatives of the Remote Sensing Sector in ASIG, with the assistance of a specialist of the Norwegian Cartography and Cadastre Authority(Statens Kartverk). 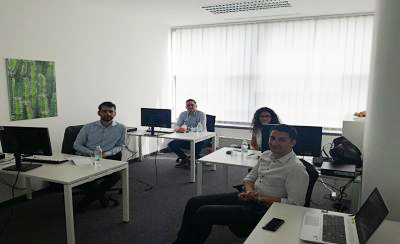 This training focused on the use of "Summit Evolution", "Match-AT", "Ortho Vista" and "Microstation" photogrammetric softwares. 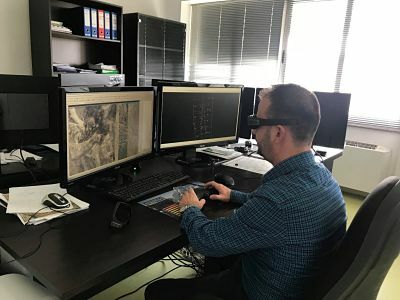 The training program offered basic knowledge on the photogrammetric softwares, their functionalities, the efficiency and the creation of a 1994 air photography project. 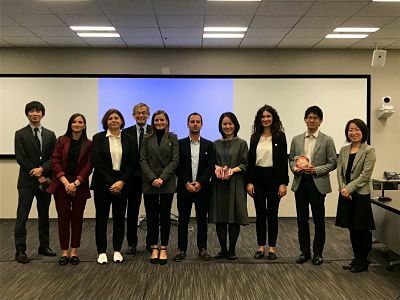 Specialists from the State Authority for Geospatial Information from the sectors of Remote Sensing, Cartography and the Sector of Geoinformation Standards participated in a two-week training in the framework of the project with the Japan International Cooperation Agency JICA on 13-27.10.2018 in Tokyo, Japan. Developing training in an institution and private company with tasks and responsibilities similar to those of ASIG offered the opportunity to exchange experience not only on the technical and professional side, but also on organizational and managerial skills by seeing and studying the way they are planned and realized working processes from relevant sectors operating in the field of Photogrammetry and Remote Sensing. Representatives of State Authority for Geospatial Information , Mr. Michel Millja, Mrs. Denisa Kukaj of the Geoinformation Standards Sector and Mr. Erin Mlloja, the National GIS Sector participated in the Workshop on Use of Feature Manipulation Engine (FME) for the harmonization and implementation of geospatial data conforming to the geoinformation standards held on 01-04 October 2018, in Zagreb, Croatia. Workshop "Working Group for Hydrography"
National Authority for Geospatial Information (ASIG) is working seriously in creating a national geo-information infrastructure (NSDI) based on the INSPIRE Directive. In view of this common group has been established ASIG and the Technical Secretariat of the National Water Council aiming at establishing standards and hydrographic data structure as one of the main themes of this directive. On the basis of results and this experience, will be treated and other topics covered by the annexes of this Directive.